Quality – kids can be brutal when handling their toys especially if they’re pitting them against each other in one of their many pretend plays. The list below only includes toy robots that can withstand a bit of roughhousing from little (and big!) hands. Age Appropriateness – some of the toy robots in the list are for older kids. There are also others children as young as 3 can play with. Manufacturers have included age recommendations for the robots on their boxes, so better take note of them. You also have to consider your child’s special needs when choosing a toy robot for him. Value That Goes Beyond Fun – yes, we buy toys for our kids because we want them to have fun. However, it doesn’t mean they can’t have fun and learn at the same time. The toy robots in this list help develop a number of skills – cognitive, problem-solving, creative, as well as build his interest in robotics and AI. Who knows, he might want to pursue a career in the said field in the future! Face Value – adults are more interested in a product’s internal features than it’s aesthetic beauty. However, that’s not the case for most, if not all, kids. They’re attracted to the colors, the style, and the familiarity of things, toys included. We took this in mind when we made the list up. Price – of course, we always want to get a bang for our bucks. We just have to remember that when it comes to toy robots, we will get what we paid for. It’s best if we invest on one that has these three factors – quality, safety, and usefulness. 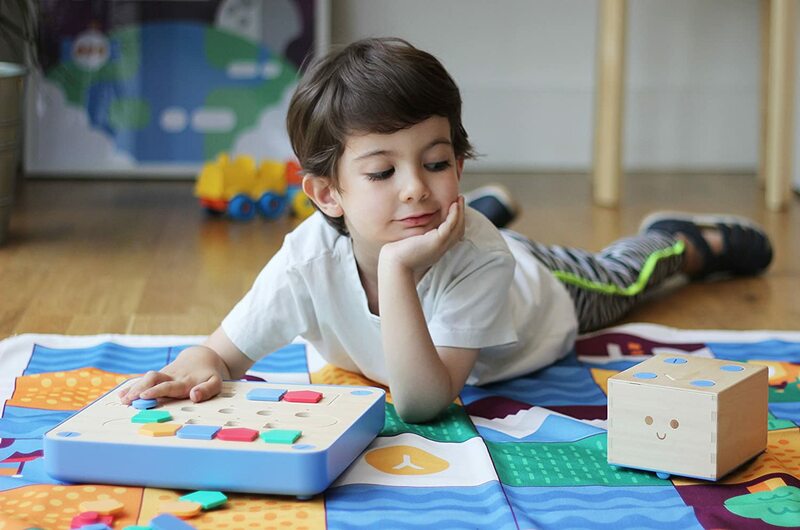 Cubetto is a friendly wooden toy robot set to teach kids as young as three about coding and the programming language. A toy robot for very young kids (recommended age is 3 to 6 years old). Teaches coding and programming without having had to use any gadgets. Screen time-conscious parents will love this one! It is a Montessori-approved educational toy. Some parents who are homeschooling their kids use the play-set for introductory lessons to coding and programming. Aside from Cubetto, the set includes a control board, 16 control blocks, a world map and a story book. 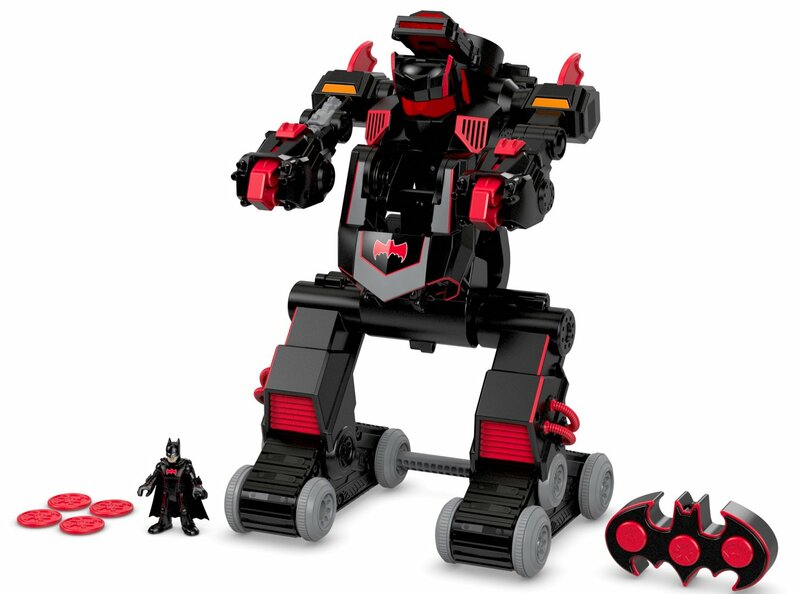 A two-in-one toy robot (transforms into a tank and a robot) for your little DC/Batman fan. Made for kids as young as 3 years old (recommended age is between 3 to 7). The toy’s package includes a Batman figure, discs and the controller aside from the batbot itself. It’s programmed to make over 100 sounds and phrases, can turn, go forward and backward, fitted with “cool” lights and throws discs. Kids will have fun going through their imaginative plays with this one. Buyers commended it for being tough, withstanding very rough plays from their kids and grandkids. Requires batteries (the controller needs AA batteries to function fully). 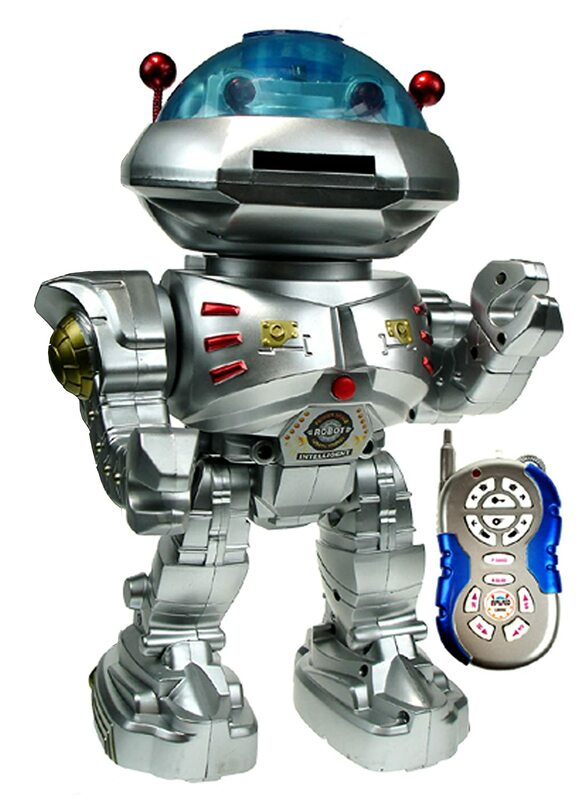 Accordingly, this very active and lovable robot will get your preschooler moving and dancing along with him in no time. Movi is programmed to show more than 60 different facial expressions and that makes him a fun and relate-able AI friend to kids. Movi is a good companion to kids with ages ranging from 3 to 6. The robot is programmed with more than 60 facial expressions which changes during plays. 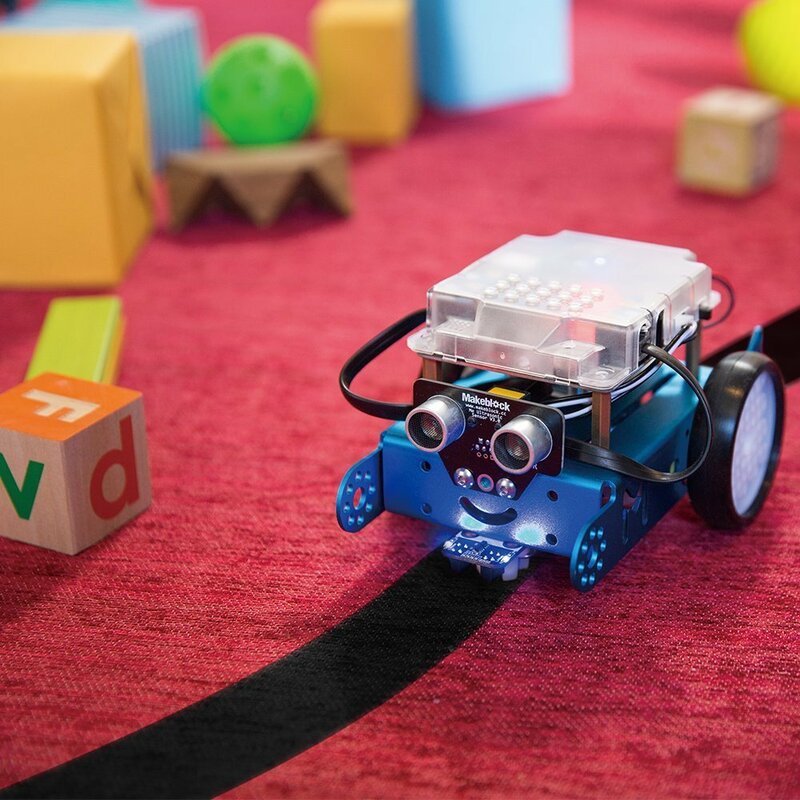 Not only does Movi gets kids to stand up and move about, the robot also enhances critical thinking skills and encourages kids to follow directions. If you’re looking for a toy robot that incorporates coding/programming in its package, then Movi isn’t for you. The Zoomer Dino named Boomer is ideal for introducing to and teaching kids the responsibilities attached to having pets. The robot might be dino-shaped, but Boomer’s personality is close to that of man’s “beast” friend, the dog. Boomer is recommended for kids with ages ranging from 5 to 10. It can be trained to chomp, chase, roar, and dance by its owners via programming. So, not only does it teaches responsible pet ownership, it can also pique your kid’s interest in the makings of robotics. 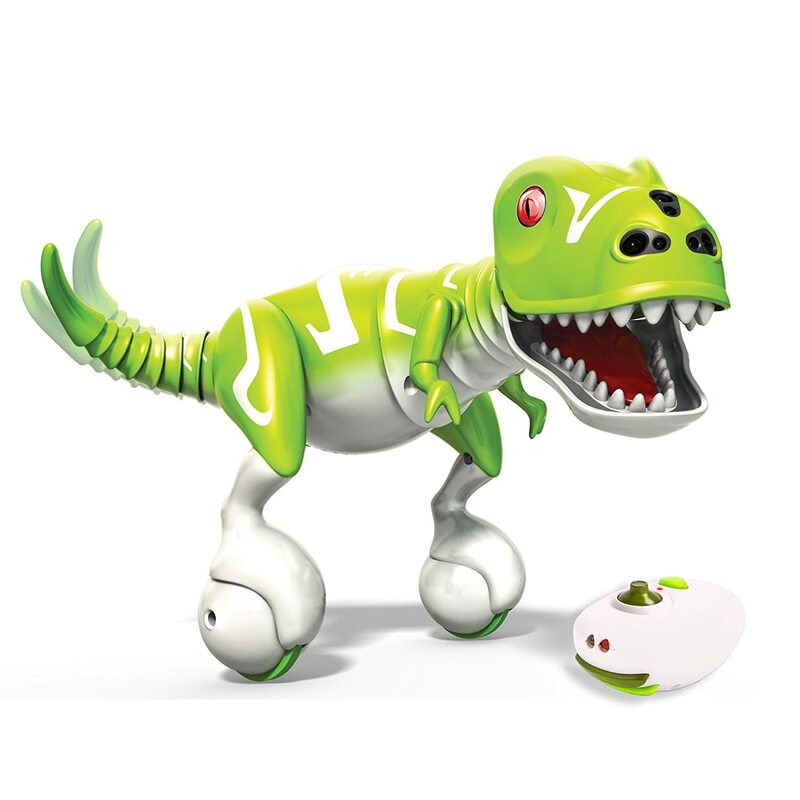 Thoy robot’s package include one dino robot, one control pod, one USB cable for charging and an instruction booklet. It can be programmed to follow your child around the house. However, doing so means your putting it at risk of being trampled on with its tail being the most fragile. Mr. Robot is a total upgrade from the phrase or word-spouting, lighting action figures we, the parents, had when we were kids. 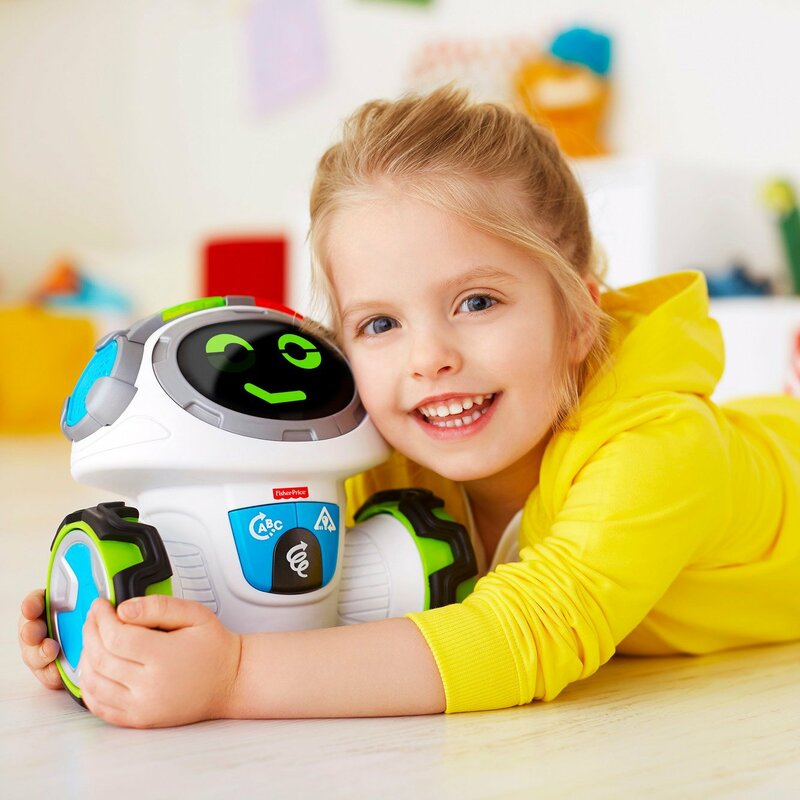 This toy robot is ideal for kids who are 5 and up to 9 years old. It comes with a five-function remote control. 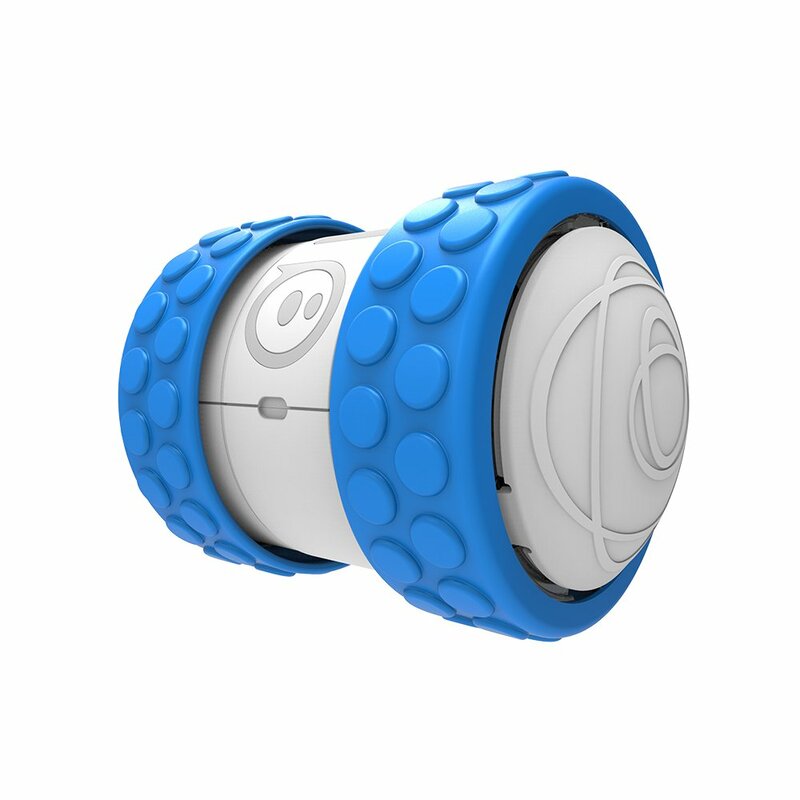 It can throw discs, does twists and turns and has infrared control. These features make it an awesome companion during make-believe plays. The toy is very simplistic. There’s a chance that your kid might lose interest playing with it quickly. 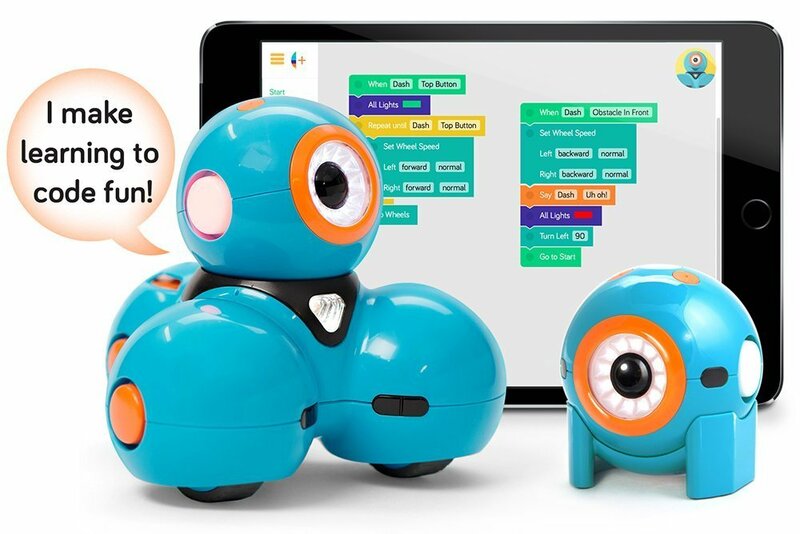 This duo are LEGO-compatible and make learning coding fun for kids as young as 6 years old. Dash and Dot are robots compatible with LEGO. Great for kids as young as 6 years old and up. Is suitable to use in classroom settings. The two bots don’t require batteries. A little expensive (though you can save a few dollars if you buy the Wonder pack as opposed to buying the two robots individually). This toy robot set from LEGO makes up five different models, each one with their own set of challenges. Each package includes more than 840 LEGO pieces, a Color and Distance Sensor, Interactive Motor and a LEGO Move Hub. Best for kids aged 7-12 who love building things. This one is just like a LEGO figure they built, but upgraded as it heeds commands. Your child can make five different robot models from one kit. It’s like having five toy robots for the price of one. Requires batteries (6 AAA 1.5 V batteries) that you need to purchase separately. 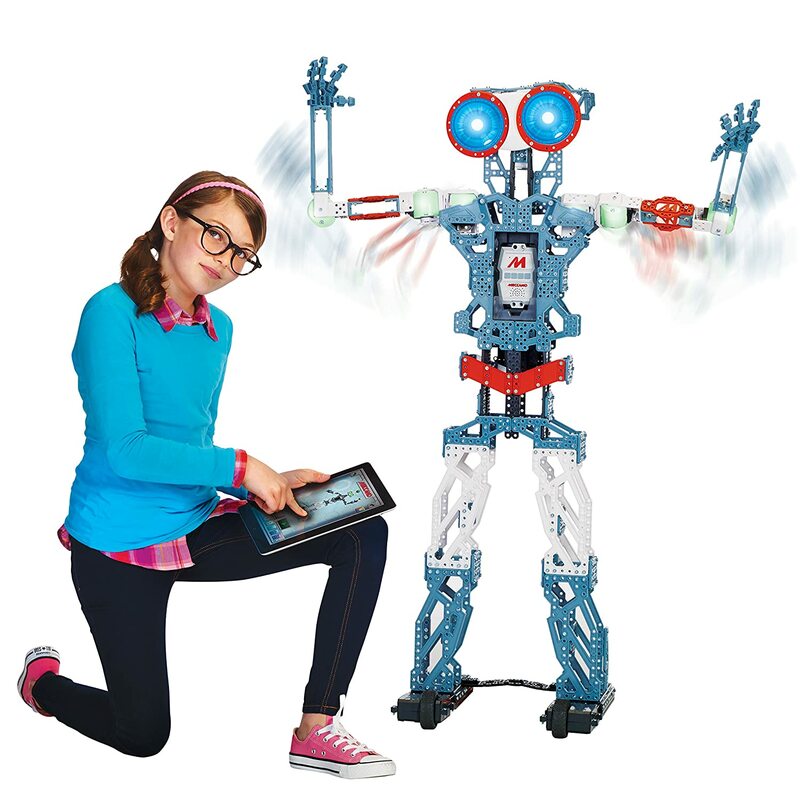 You need to download the app that goes with this robot kit. Outdoor toy robots are rare and this one, dubbed Ollie, is one of them. It’s a small robot (can fit your child’s hand) that’s big on the attitude and the stunts. A toy robot you and your child can bring and play with outdoors. Ideal for those who are 8 years old and up. Even adults find this one fun to play with! Made from durable materials (polycarbonate shell). It can go as fast as 14 mph and can be controlled in a distance of up to 100 meters. One user complained that the Ollie can go very fast and out of control as it doesn’t have a stop button. 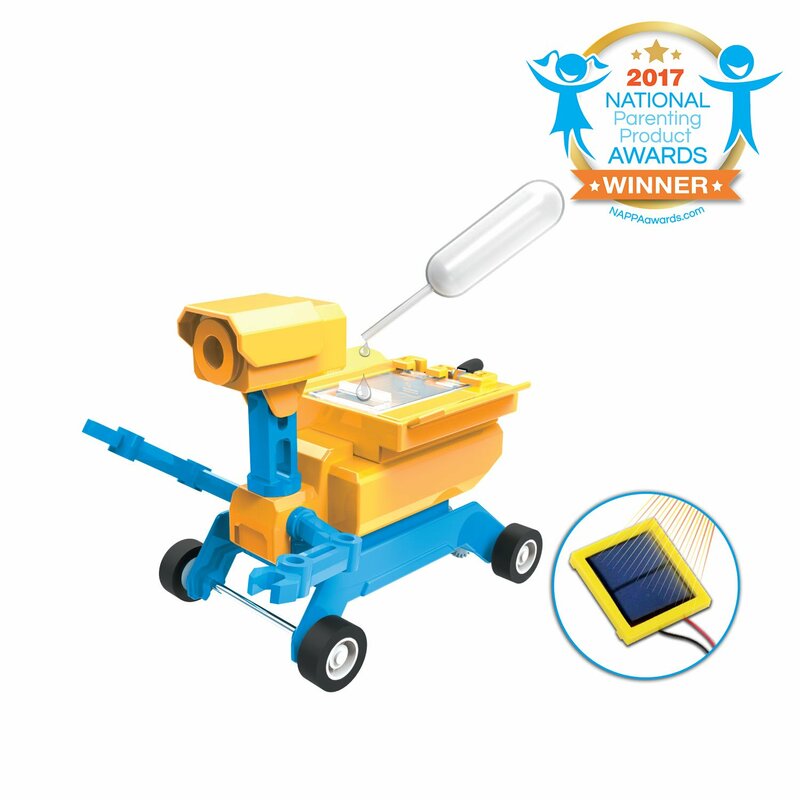 Teach your kids (or your class if you’re a teacher) the power of natural sustainable energy and robotics with this robot toy kit. Recommended for older kids or teens but 8-year-olds will have fun playing with this kit, provided that they’re responsible enough (We’ll delve into that later). Kids (and adults!) will have fun building these DIY robots. They don’t require batteries to operate, just the sun’s rays (solar) or saltwater. Classes will benefit from this toy kit with regards to STEM, robotics, and lessons on natural renewable energy sources. It’s cheaper compared to the other sets. The saltwater-powered robot will have magnesium oxide residue left on its plate. It might be safe to handle but you have to avoid contact with eyes and mouth as it can be toxic. 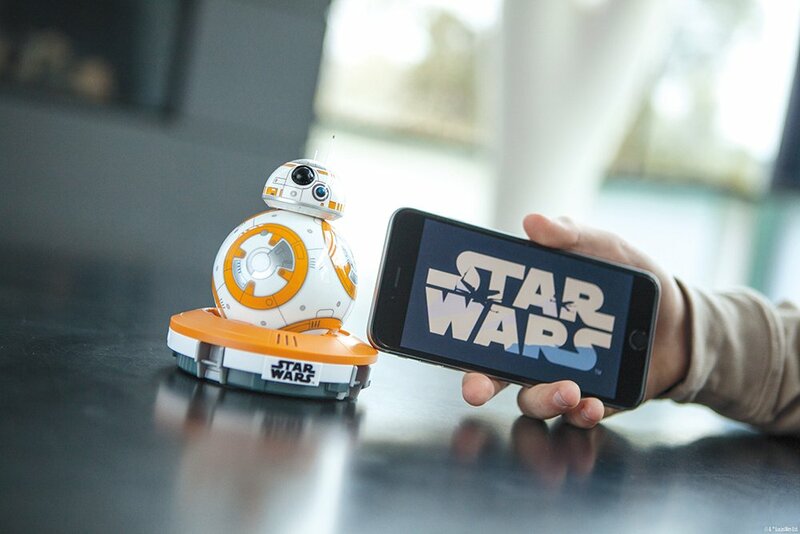 A great gift for someone – child or not – who is a Star Wars fan. Recommended for people 7 or 8 years old and up (though adults will love this more as a collectible and not as a robot). Cute; looks just like the robot in the Star Wars movies albeit a smaller one. It’s easy to set up (something a child who knows his way around a smartphone can do). It’s fun to play with. The robot doesn’t exactly deliver its claims. For one, the holographic images or messages are only see-able in the smartphone you use to control it. Additionally, the robot itself doesn’t make the sounds ads claim it could. The robot doesn’t detect uneven floors or obstacles on its way, so it keeps falling off from stairs or bang against walls and furniture. 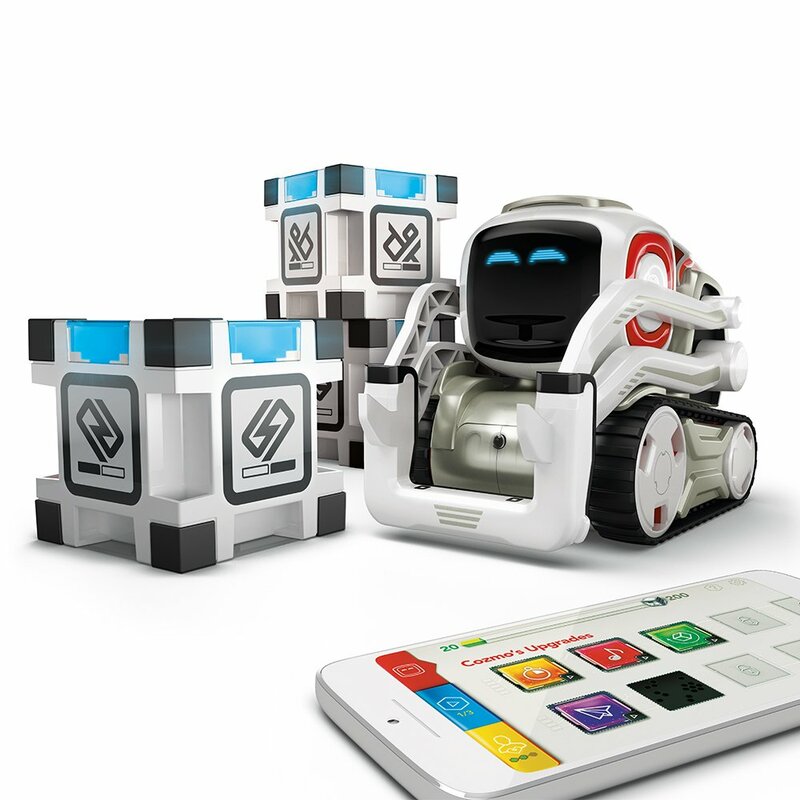 Kids as young as 5 can play with Cozmo as long as there’s adult supervision. The ideal age for this bot is 8 years old and up. Fitted with AI; this robot is described by buyers as someone with an attitude. No assembly required. You can play with it right out of the box (provided that you set it up with your device first). The robot is fun and lovable, a true robotic friend. Some buyers complained that Cozmo can be difficult to set up especially if you switch devices. Connectivity tends to get lost. 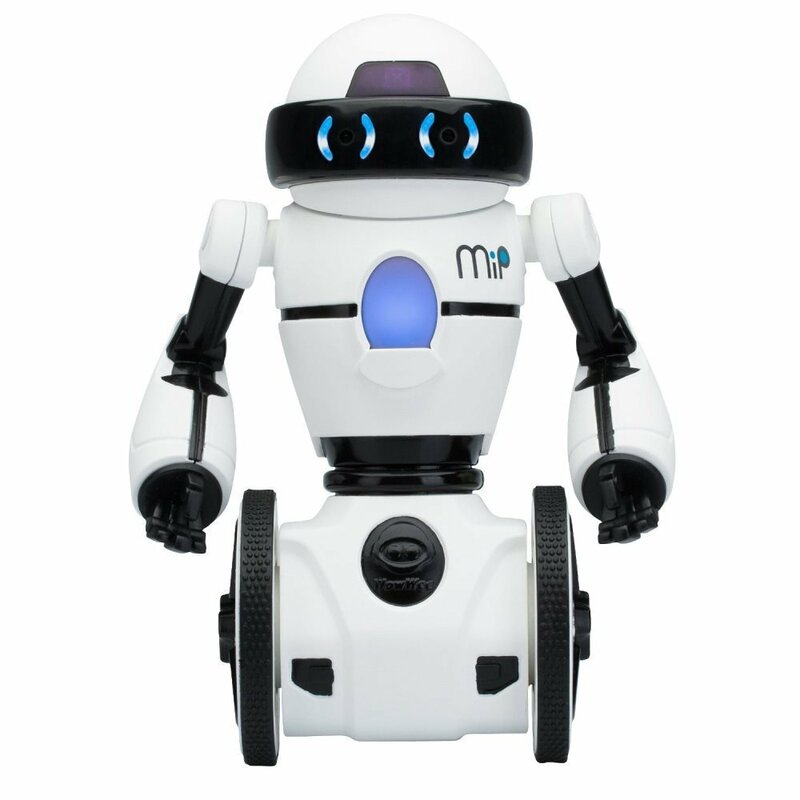 MiP is one of the gesture-based robots in the market. It means, the bot response to its owner’s gestures and actions. Recommended age for MiP players is 8 years old to 15. Fitted with GestureSense, a feature that allows the robot to interact to its owner’s gestures and actions. It can also detect sounds from its environment. It’s one of the true robot companions sold in the market. It can do tons of things (via its app) like eating and battling other MiPs! Some customers had a difficult time making the robot work and syncing it with the app. These robots come in two versions. The Bluetooth version is something that families prefer. On the other hand, the 2.4 G version is mostly used in classroom settings. Great for kids aged 8-12. Fun to play with while incorporating STEM education, robotics, coding and electronics. Easy to assemble (manufacturers claim one mBot can be put up between 10-15 minutes) and requires no soldering. Has two versions – one for personal while the other is ideal for classroom teaching. Some customers who bought mBot kits complained about how the robots are a hit-and-miss when it came to obeying commands/coding. The Meccanoid is best for older kids, teens and adults because it’s a little complicated to put up. You see, the kit has about 10 motors and 1, 223 parts. However, once it’s up, this 4-foot robot is fun and educational to play and be with. This robot can be considered as a humanoid, standing four feet tall with motor-fitted limbs that allow for human-like movements. It’s complicated yet fun to put up and the sense of fulfillment kids might feel after is incomparable. Recommended age on the box is 8-12. But we think little kids will find putting the robot up a bit difficult unless there’s adult supervision. Our recommended age is 10 years old and up. It’s the priciest set in the list (at $500). But buyers argued it’s worth the investment. 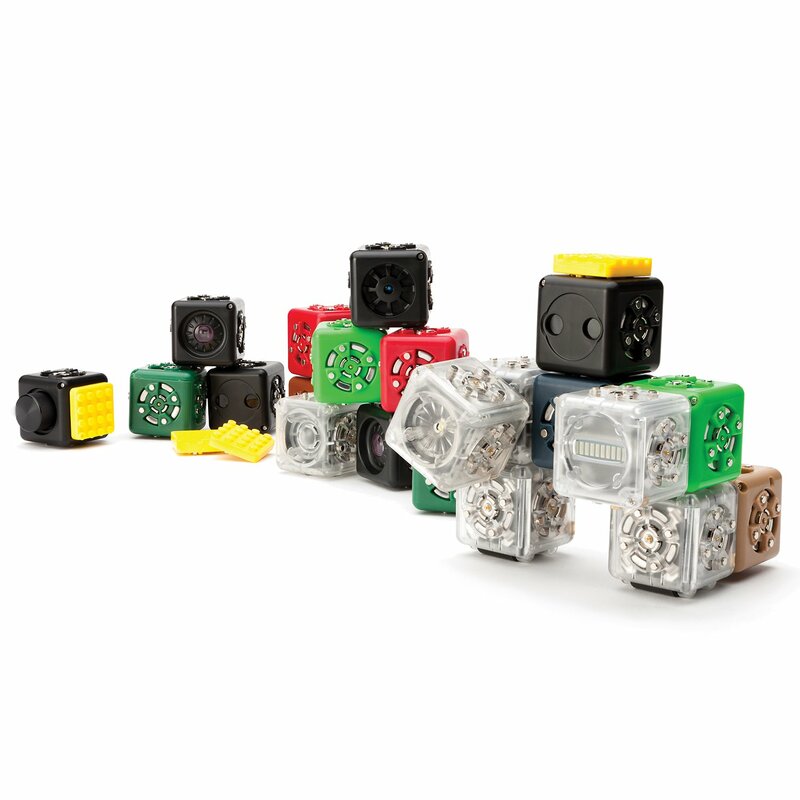 Kids as young as 4 years old can play with these robot cubes. 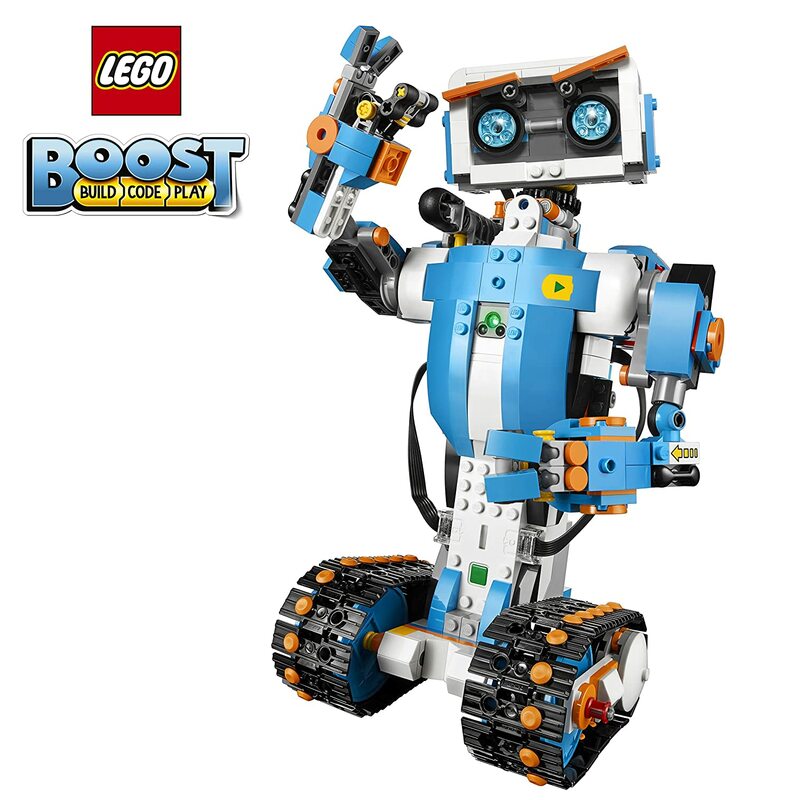 It allows free robotic play as kids can make up their own robots using the many blocks with different features. Very expensive but buyers argued they’re worth the investment (even adults testified how fun they find the robotic cubes). A very versatile kit – imagine building 14 robot modes from this one set alone! 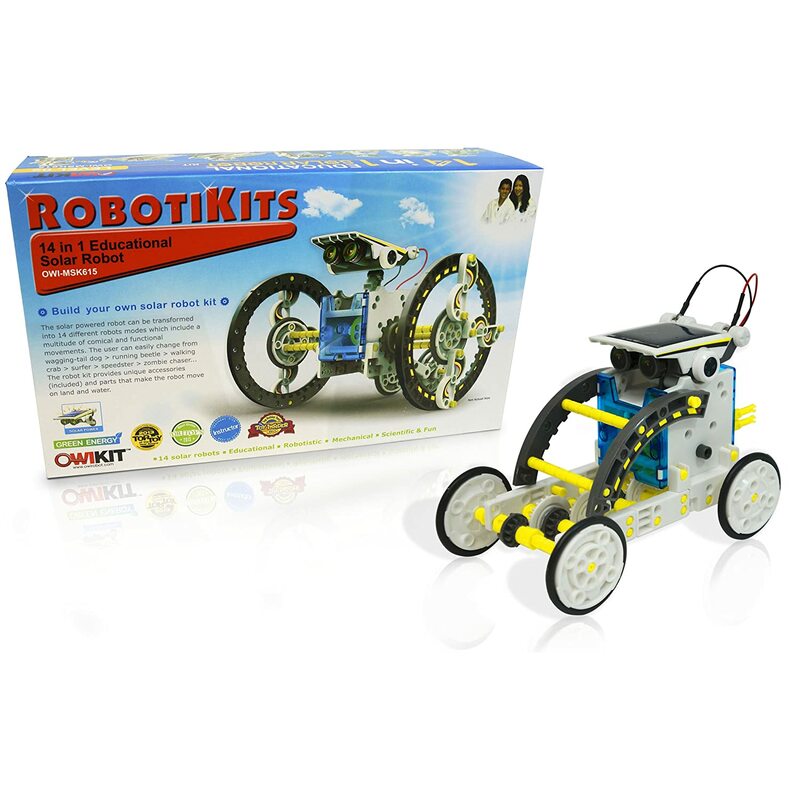 This educational robotic kit is recommended for kids aged 8 to 15 years old. It’s ideal for both beginners and experienced robot builders. With one kit, your child can make 14 various robot modes. It’s solar-powered; batteries are not needed. It’s both fun and educational. Buyers found the kit difficult to assemble; kids might need adult help. This robot kit allows kids as young as 6 years old to make up their own robots. While batteries are required for the eyes, it’s pull back motor doesn’t require batteries to operate. The kit is ideal for kids who are 6 years old and up. 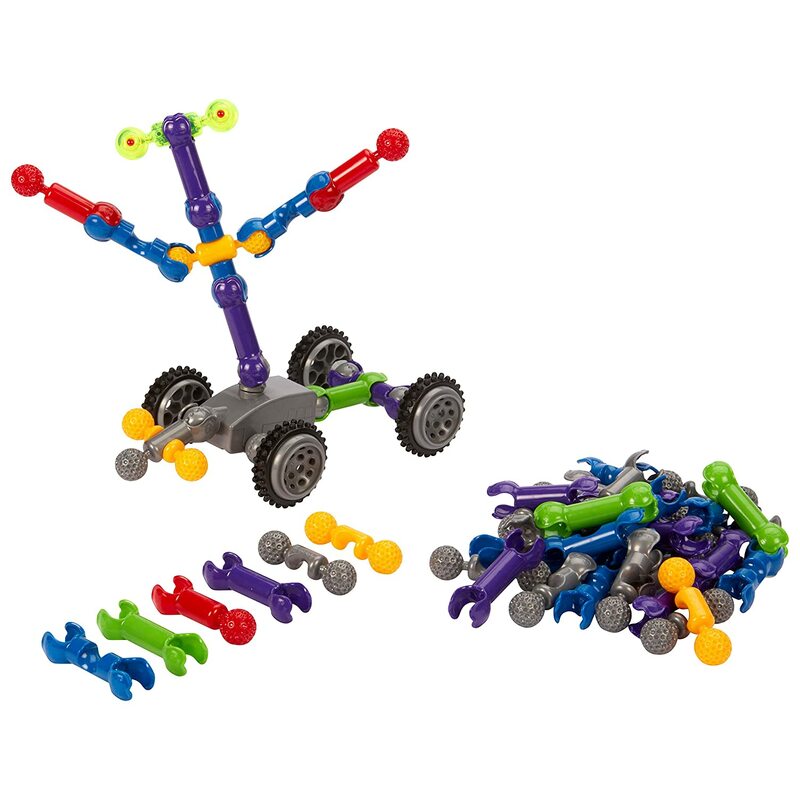 Parts are colorful and could pique kids’ interest when they’re not into robotics and stuff. Buildable, so kids will learn and will have a basic idea on how robots are created. Some buyers found the kit difficult and the instructions hard to understand. Heyz is an amazing writer who pops in time to time to contribute to our amazing blog. Loves writing about guides and products for new mothers.